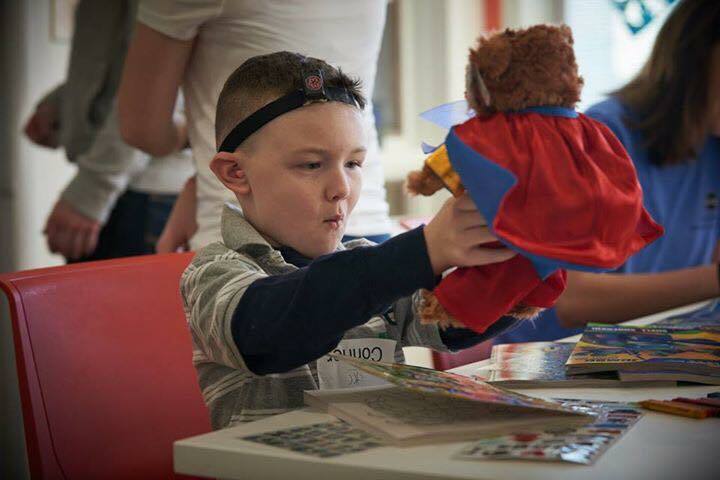 Hear about the impact of sending a Billy Bear Hug from patients and their parents. Giving or receiving a Billy Bear Hug is a special moment. We asked a few of the families and partners we work with to share their experiences - scroll through the gallery below to hear their stories. Lily received a bear in August 2016 while in the hospital for treatment. With help from her mother, she sent us the following note. Mia received a bear in July of 2015, while in the hospital for treatment. Whenever I meet new families, the bears are a perfect way for me to introduce myself to the children. I’ve never met a child who didn’t immediately hug their bear tight. Thank you BBHF for sending love and hugs for countless little ones who are hurting a little less because of their bears! Have a special moment of your own to share? Reach us at info@billybearhug.org with your story to be featured here!